Buying corporate SCRIP cards is a great way to easily and seamlessly support our school while you shop. Simply buy the cards from BVHM in advance of your shopping. Use them to pay as you would a gift card or credit card. Rainbow Grocery and Peet’s Coffee and Tea give our PTA 10% of every purchase. Buy $100 in grocery store SCRIP and the school gets $10 – you still have $100 when you shop! Buy a $25 coffee card and the school gets $2.50 – but you still have $25 to spend on coffee. Rainbow cards are refillable at the register, meaning once you’ve spent the value on the card any cashier can help you add on more value (with BVHM still getting 10% of those future purchases). 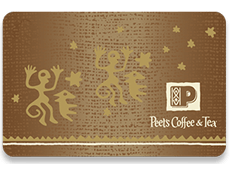 Peet’s cards are not refillable. Their cards work just like gift cards – only you buy them from BVHM. Ready to get started? 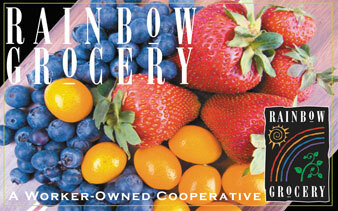 We are selling $50 Rainbow Grocery cards and $25 Peet’s cards. Rainbow Grocery is an independent, organic, worker-owned cooperative serving San Francisco and the Bay Area since 1975. Peet’s Coffee and Tea is a great coffee and tea chain with roots in the SF Bay Area. The Good Life Grocery is located in Potrero Hill and Bernal Heights. They also offer paper SCRIP in $20 increments that you use like cash. We can order Good Life SCRIP upon request. SCRIP is an easy way to make money for the school by just shopping where you already shop. Do your neighbors or friends shop at Rainbow or Peet’s? They might buy a card too! To buy a card, email BVHM volunteer Rebecca Page at rebeccap@gmail.com or call or text her at 415-596-3552.